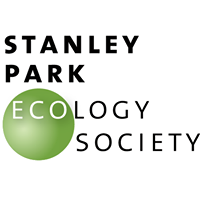 An EcoWalk is a fun and informative walk through Vancouverâs world class Stanley Park, a 1,000 acre (402 hectare) nature preserve. The friendly guides give interesting information on the unique trees, plants, birds and animals as well as on the rich aboriginal First Nations culture and legends of the park. The walking pace is medium, taking 3 hours to complete and covering 8 kilometers, (5 miles) of relatively flat paved and graveled trails over selected seawall and forest paths. This walk is suitable for the whole family, including active seniors. Both visitors and residents of Vancouver who take the Stanley Park EcoWalk just love it; it sparks or renews their interest in the aboriginal First Nations culture and Canadaâs unique West Coast ecology.